Hello AJVD fans!! 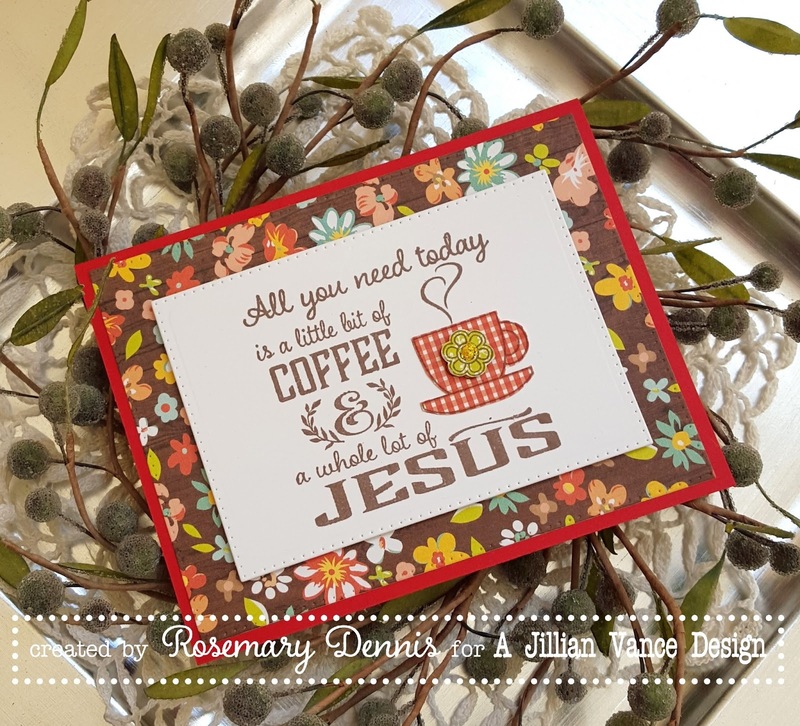 Rosemary here today to share a card that I made using the fabulous A Jillian Vance Design Coffee & Jesus stamp set. 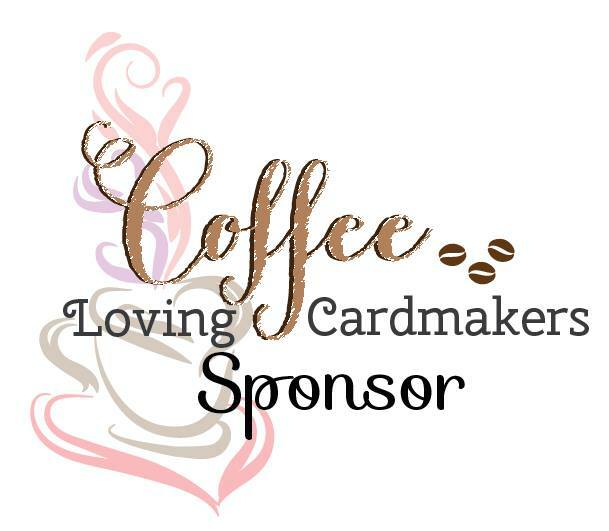 Many of you probably know about the fall Coffee Lovers Blog Hop. 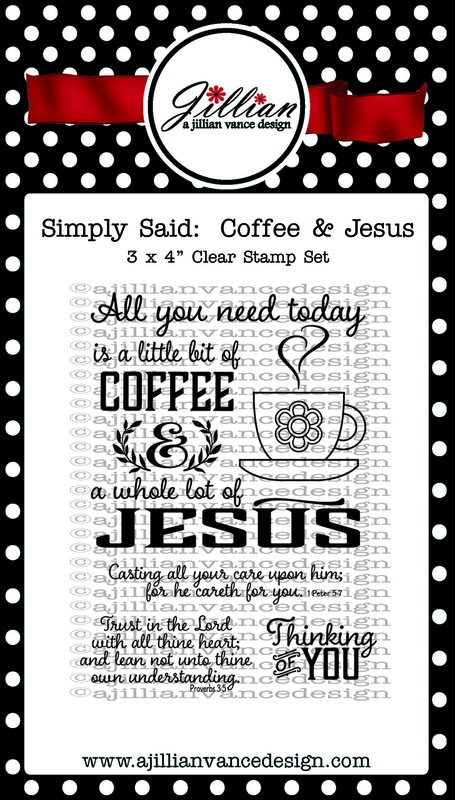 Did you know that A Jillian Vance Design is a super sponsor and if you participate in the hop you have a chance to win your very own Coffee & Jesus stamp set? Well... you can... YAY!! There are still a few days left in the hop (it ends on Friday, October 2nd) so make sure you play along!! I will be linking my card up to the hop. 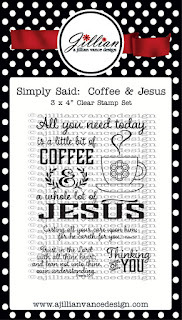 Whenever I use Coffee & Jesus I tend to keep things simple and just let the main sentiment shine and that is what I did with this card. 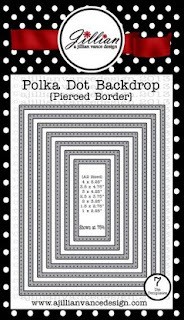 I stamped the sentiment on white cardstock using Memento Rich Cocoa ink and then die cut it using one of the dies from the Polka Dot Backdrop dies set. 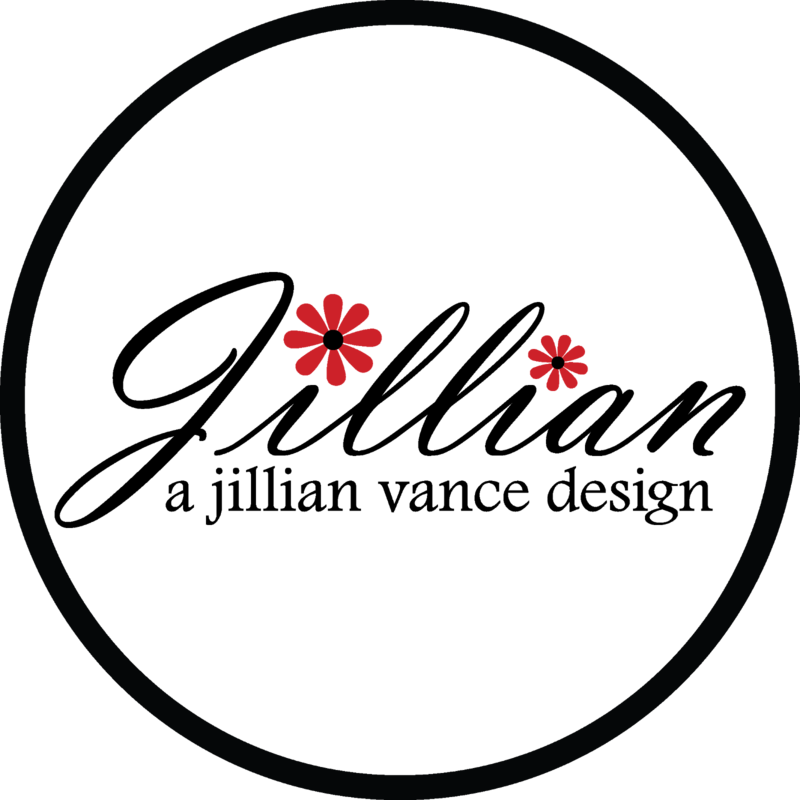 The little cup was stamped on some patterned paper, trimmed out and adhered to the cup on the stamped panel. Using the largest Polka Dot Backdrop die I cut some coordinating patterned paper (all papers are from the Webster's Pages Family Traditions line). After adhering the panel to the card base I added the sentiment panel and some yellow Stickles to the center of the flower and I was done. So cute! And thanks to Jillian for being a super sponsor at the Fall Coffee Hop! really cute, love the paper you used! Very pretty! Love this sentiment. Oh wow--great card, Rosemary! I love the little cup! What a lovely card, Rosemary...terrific background for your cup and sentiment! Happy hopping! beautiful card, love that set! Now that is too adorable and charming as heck Rosi. I love it. This is a beautiful card - I love the patterned paper you used and the delightful flower embellishment on the mug. This is a delightful card!! Love the sweet gingham cup, really cute Rosemary! Love the papers and great creation! That mug and flower are terrific! What a sweet card. I love the sentiment quote! very pretty and inspirational card. I love the sentiment and the background paper!